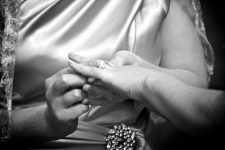 Proponents of biblical marriage are sharply criticizing the nation’s largest jewelry store chain for creating a video advertisement that prominently features two lesbians on their “wedding” day. Zales is a popular jewelry company headquartered in Texas. According to a 2012 report from “National Jeweler,” Zales’s parent company Zale Corp is the largest jewelry retail chain in North America, grossing $1.7 billion in annual sales.